Digital Internet Productions offers web hosting, ranging from basic web hosting to enterprise management. Whether your demands are a simple business website or a hosted application, Digital Internet Productions can host and optionally administrate your infrastructure. We offer a one stop solution that can integrate your web hosting with your existing IT infrastructure. 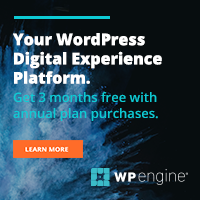 Get world-class WordPress specific enterprise hosting for only $25/month per site, or 10 sites for $99 - click here to order Enterprise WordPress Hosting. Digital Internet Productions now offers hosting specifically optimized for wordpress. Migrate your site with one click! For only $6.99 a month, the Managed WordPress Hosting does everything you need from site backups, managing traffic, to automatic wordpress updates! This is simply the best hosting option out there for a wordpress site. This hosting is SEO & Social Media friendly - just by switching it's nearly guaranteed to increase your ranking. If you have many wordpress sites, host them all under one professional account for $69/month (up to 25 sites). Order WordPress hosting now or click here to learn more. IX Webhosting - General Basic Hosting - Unlimited plans - GREAT VALUE!